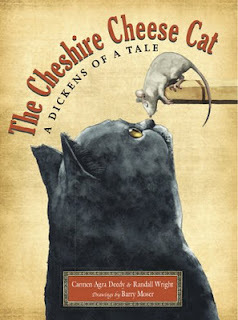 Middle School Monday - Review of The Cheshire Cheese Cat by Carmen Agra Deedy & Randall Wright. What a fun book to read! "He was the best of Toms, he was the worst of Toms". This cheeky phrase begins the tale of Skilley, an alley cat with a secret. He finds a home at Ye Olde Cheshire Cheese, a London inn renowned for it's cheese, and also the favorite spot for many of England's finest writers, including Charles Dickens. Once he maneuvers his way into the cheese as a "mouser", he hatches a plan for a life of ease. A resident mouse named Pip uncovers Skilley's secret, and the two become allies. Harmony reigns until they are drawn into an intrigue involving a tyrannical cook, a strange visitor hidden in the attic, and an evil tomcat named Pinch. The book also has a fabulous interactive website to enjoy: http://cheshirecheesecat.com/. The book is targeted for grades 5-8, but to be honest, animal lovers, history buffs, and folks of all ages will enjoy this book! 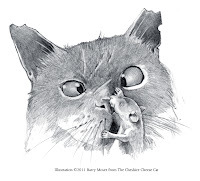 Another part of the enjoyment is the wonderful artwork by Barry Moser, an acclaimed illustrator who has won the National book award for his work in "Alice's Adventures in Wonderland". Aww, this sounds so cute! I love cats. 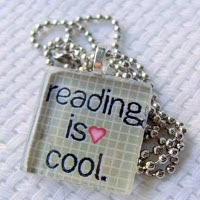 I must read this.